LUXE, hidden in the ‘Couve – Partly Robot's Funtime Blogotrope! 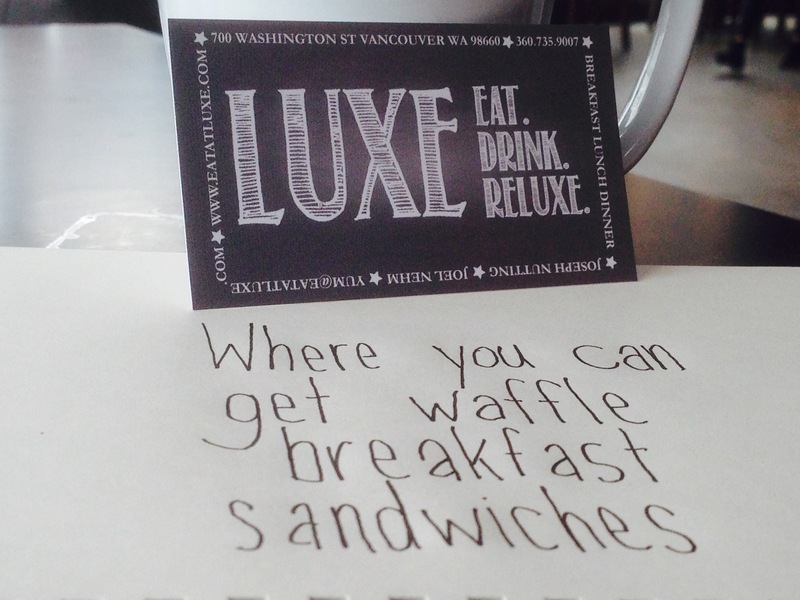 A couple blocks from the Hilton in downtown Vancouver, Wash. is a place called LUXE. It’s a great place to go to escape the dance competition frenzy that goes on in the Hilton once a year when New York City Dance Alliance is holding their PNW regional workshop and competition. You find out about things like this when you’re a dance dad. You also learn how to be close by, buy stay the hell out of the way when you’re daughter is involved in one of these events. Swoop in with food, then get the hell out. Luxe does does coffee. 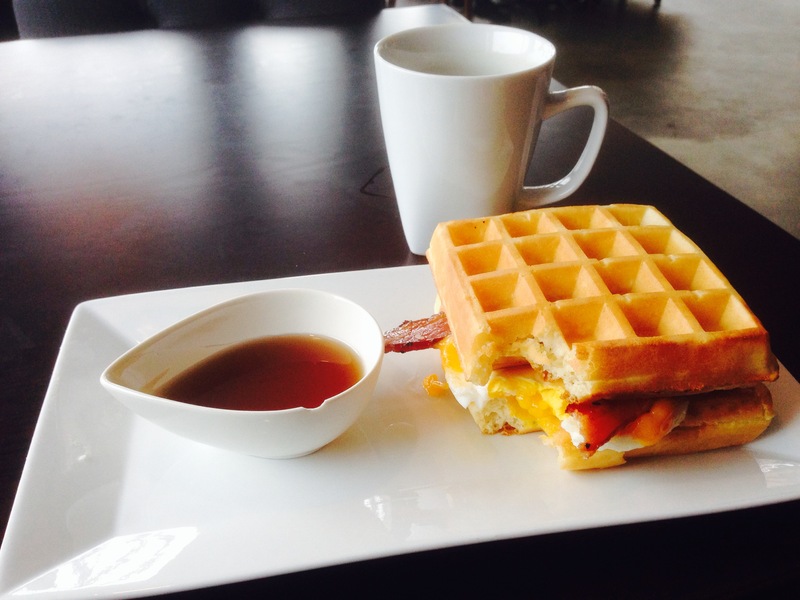 Luxe does weekend brunch. Luxe does lunch and dinner. Luxe does happy hour. Let me reiterate: Luxe does happy hour. Yesterday afternoon, I was able to order a couple happy hour starters for take out and enjoy a pint of micro-beer while I waited. Dance dads require this sort of option. NextKICKSTARTER!!! Larry the Horrible Time Traveler-Paperback Edition!